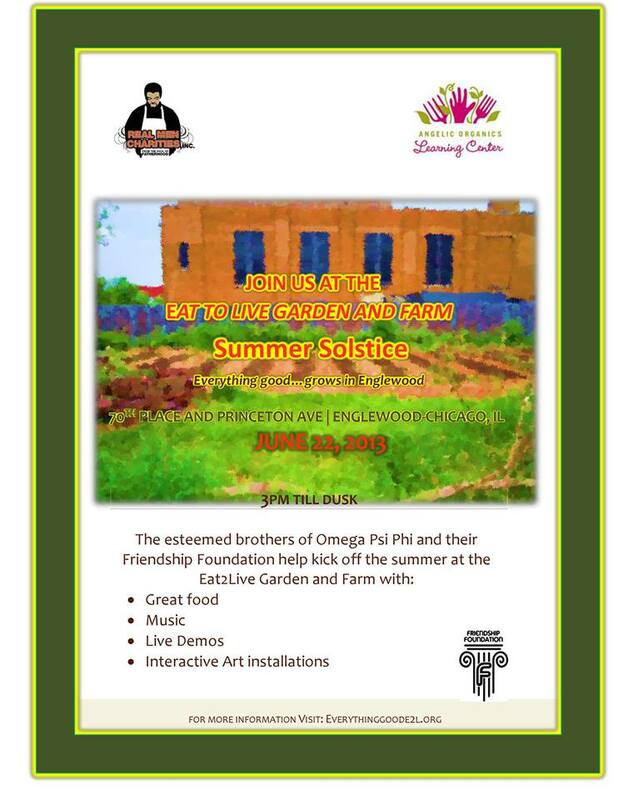 Eat to Live Englewood Urban Garden Invites You to Summer Solstice!! | R.A.G.E. Eat to Live Englewood Urban Garden Invites You to Summer Solstice!! Join the Eat 2 Live Englewood Garden and Farm for a summer kick off on Saturday, June 22nd from 3pm-Dusk at 70th & Princeton! Eat to Live Englewood is a comprehensive neighborhood development project at 70th Place and Princeton Avenue, comprising a half-acre urban farm, an adjacent community and learning garden, and linked food enterprises and retail spaces. Join the group for Food, Music, Interactive Art, Live Demos and more!! 7th District Expanded Anti-Violence Initiative (EAVI) Meeting Reminder!